But no artist inspired more great covers than Cohen. Perhaps that is because unlike the Beatles, whose performances are hard to top, his original recordings were rarely definitive. His early albums were so barebones that one could do almost anything with this songs. Then there was the Phil Spector record, where great songs were buried under too much production. Then the ’80s came, a decade rarely kind to singer-songwriters, and Cohen’s records especially suffered from a reliance on instantly-dated production. In so many cases, Cohen’s perfect songs were presented with imperfect recordings. Hundreds of songs ripe for another artist to come along and make his or her own. 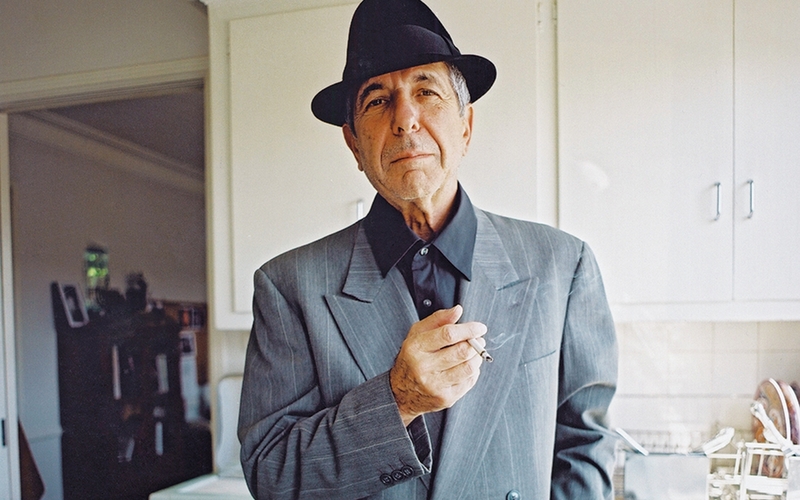 The Leonard Cohen Files lists over 3,100 covers of Cohen’s songs, and that is surely still only a fraction. And though Cohen himself was no slouch at a cover – “The Partisan” off his second album Songs From a Room is a classic, and the final song he ever performed live was a beautiful “Save the Last Dance For Me” – his gift to cover songs was in providing the most beautiful templates for others to interpret. Though a handful of his songs – like those three – tend to be covered a lot, throughout his career he wrote better songs than just about anyone. So we picked one song from every album he ever released to post a cover of. This still leaves a lot of holes, a lot of classic and brilliant covers we’re missing, but with Leonard Cohen covers there’s always more to discover. There is a tendency to cover Leonard Cohen seriously and somberly – and many such versions are excellent. But that is far from the only way to approach his songs, so rather than start with Nina Simone’s wonderful “Suzanne,” we went with this much more irreverent folk-pop cover. It’s like a Mumford and Sons strum-along anthem, catchy and perfect to holler along with, something surely Cohen never imagined. Here’s a Cohen cover that only came out a few months ago. It reinvents a song that doesn’t get covered as much (“Chelsea Hotel #2” tends to dominate the New Skin cover versions) as a slow-burning rock gem. I expect we’ll see this again on our Best of 2016 list. 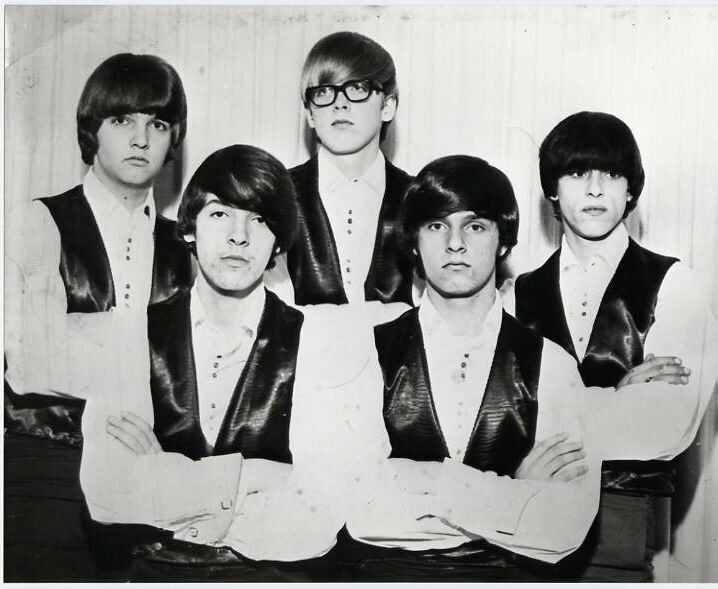 Like most of Death of a Ladies’ Man, “Paper Thin Hotel” suffers from way too much Phil Spector. But the songs were as good as ever – with the possible exception of “Don’t Go Home With Your Hard-On” (Cohen’s writing can be very funny, but it’s better when it’s dry and subtle). Here, his fellow Canadians The Heavy Blinkers save “Paper Thin Hotel” from production hell. 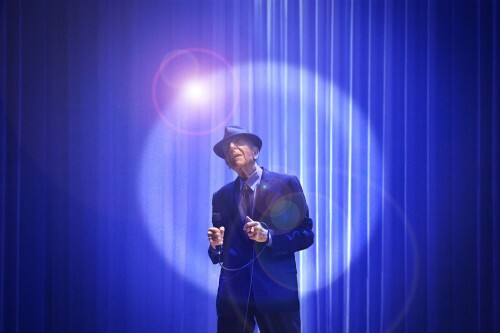 Look beyond the jokey name: Monsieur Camembert’s 2007 album Famous Blue Cheese: The Leonard Cohen Show is one of the best Leonard Cohen tributes out there. In a way, this live album presaged Cohen’s own 2008-2010 comeback tour, delivering beautiful folk-jazz versions of Cohen songs spanning all decades just as he himself would do a year later. The second post Cover Me ever did was a full-album tribute to Cohen’s album I’m Your Man, which contains many of his best songs buried under super-glossy ’80s production. Luckily most of those songs have been covered many times over, including some on a tribute album that came three years later, similarly titled I’m Your Fan. Few tribute albums have been more influential than this, bringing Leonard Cohen’s music to the cool kids, with everyone from the Pixies to R.E.M. to John Cale, who started the whole wave of “Hallelujah” covers. Like a number of Cohen songs, this was a poem well before it was a song. It’s also one of his more-covered songs of the 2000s, including a version by Judy Collins, whose early covers of Leonard helped give him a career. Even better is Jackson Browne’s live version. Dear Heather was a little scattered, with Canada’s greatest living poet borrowing words from Lord Byron and F.R. Scott and including a cover of “Tennessee Waltz” he’d recorded live thirty years earlier. The production was DIY, and not in a good way – mostly in the sense of cheap-sounding keyboards. But as always, it offered gems for others to mine, like this obscure song covered in German on a recent tribute album. The most-covered song so far from his recent run of masterpieces, “Show Me the Place” earned a fantastic reinvention earlier this year by Zaki Ibrahim. Another contender for our year-end list next month. Amanda Palmer recorded a covers album with her father earlier this year, bonding over shared music. 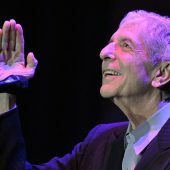 And their most shared artist was Leonard Cohen, as the two had covered other songs of his together live over the years. Jack Palmer has clearly been keeping up on Leonard’s latest, as he suggested this beautiful 2014 song that became the title track to their album. I expect Cohen’s newest album to generate its fair share of covers (“Treaty” in particular holds enormous potential), but since it’s only a month old, pickings are slim. The best so far is YouTuber Kenneth Widra finding his way into a song he can’t have listened to more than once or twice, given how fast he posted this after the album started streaming. We’ll surely see many “Hallelujah” tributes in the days and weeks to come, but hopefully some artists will dig deeper to explore songs like this. You have all of Leonard Cohen’s albums right? If not, this box set will get you started. Thanks for all the great Leonard Cohen tuneage! Nice collection.